I am starting with an extremely simple dish. 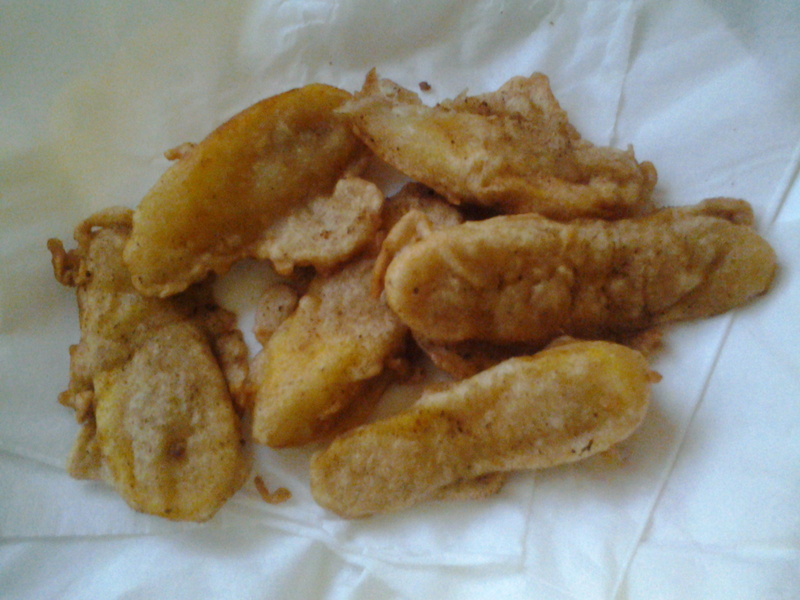 Banana Fritters aka Pazhampori (in Malayalam). Some of my Keralite friends, reading this might think “That’s so freaking easy. What’s the need for a whole post about it??”. I did think of that too and the only thing I can say is, I might be doing it differently. Your way might be different from mine right?. So give mine, a try! 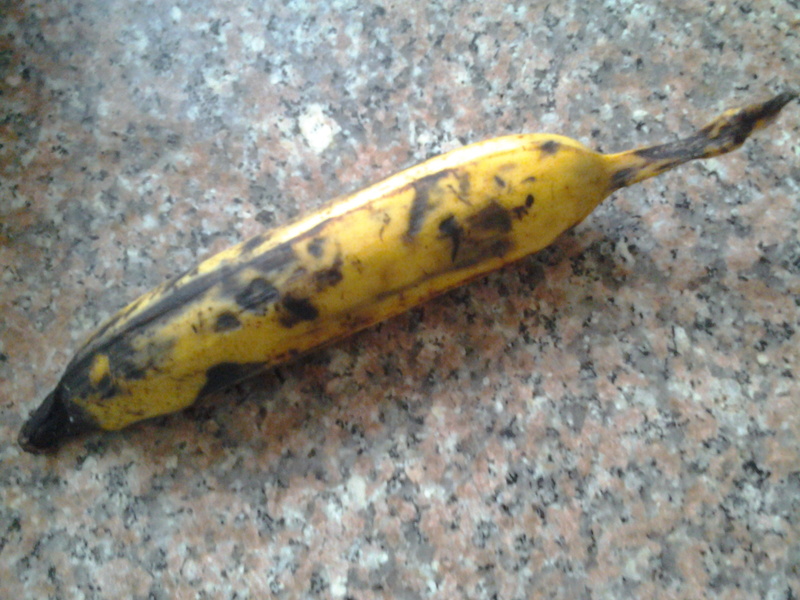 1) First, here is how ripe the banana should be. 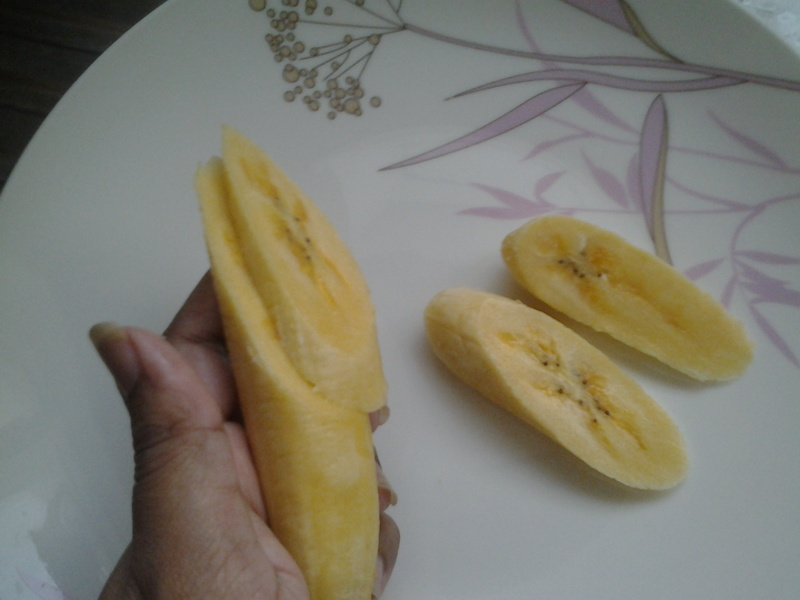 2) Slice it into slanted thin slices like this. 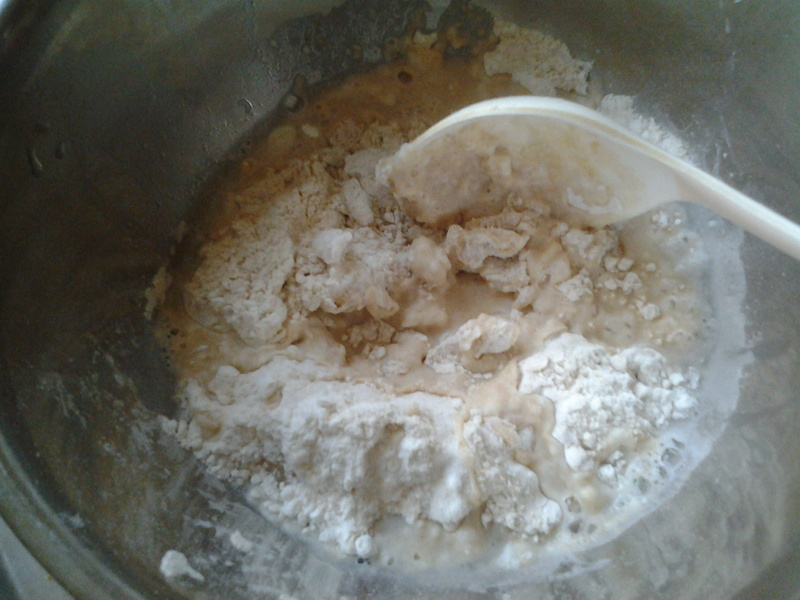 3) Then take a mixing bowl and add the dry ingredients. In no particular order, here are the pix. I haven’t clicked adding all the dry ingredients basically, coz it’s just powder on top of powder :P… Just make sure that the ratio of All Purpose Flour to Wheat flour is 1:1. Adjust the amount of sugar according to your liking. 5 tsp is just right. Salt is added, to kinda counteract against the sweetness. 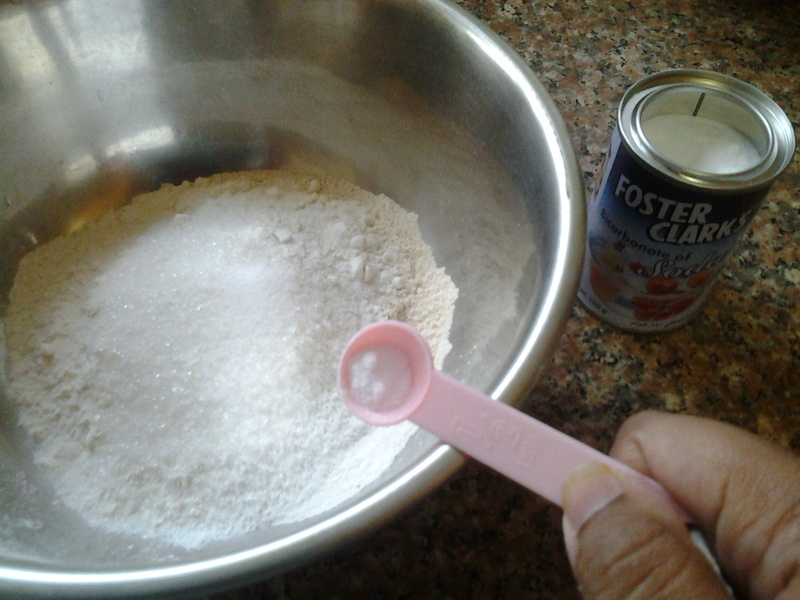 4) Add water (normal temperature) slowly into the powder, while mixing with your spoon. If you add a lot of water at a single time, you would get a lumpy batter. 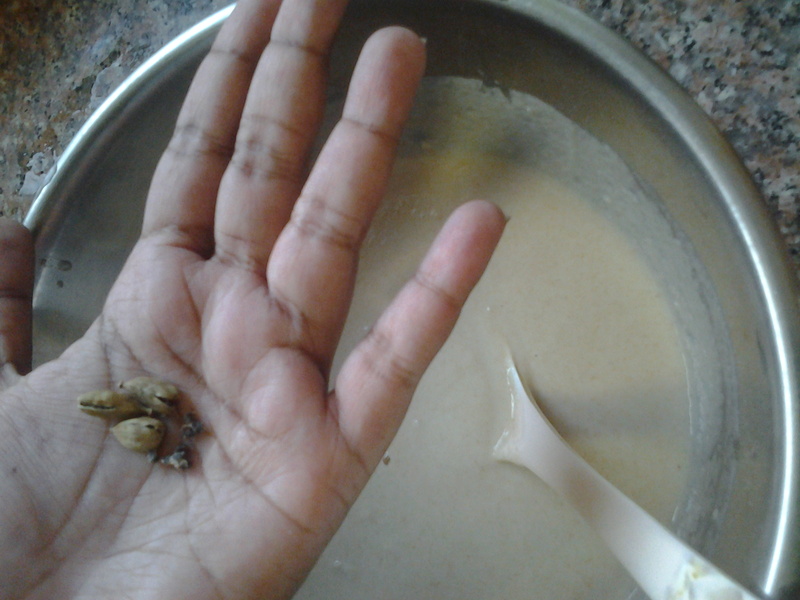 Pouring water little by little each time and mixing simultaneously helps in getting a lump free batter. 5) Once you get the right consistency of the batter, lightly crush the cardamoms and get the tiny black seeds from inside it. Add that to the batter, as whole. If you don’t like the taste of cardamom, skip this step. 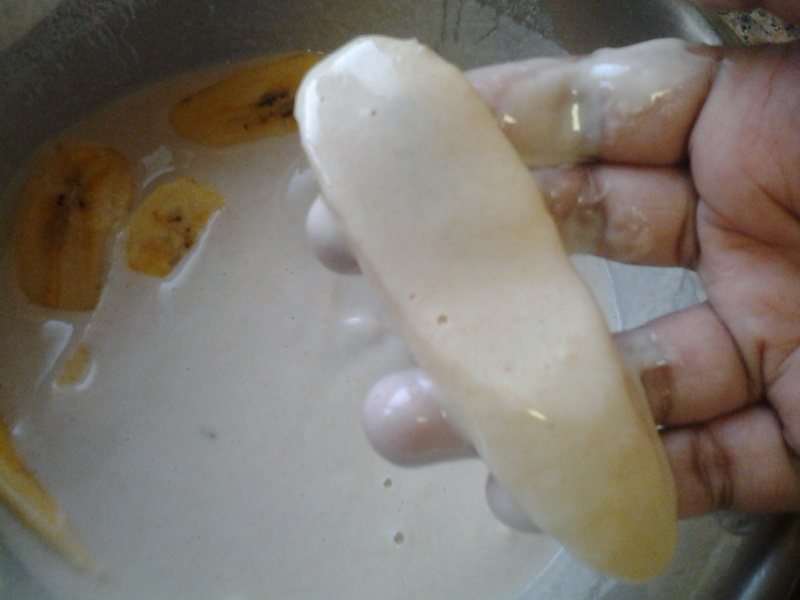 6) Dip the banana pieces into the batter. When you dip one and raise it, the batter shouldn’t run off it, instead, there should be a nice coating on it. Dripping/Runny batter means the water level is too high. If that does happen, add a bit more of one of the dry ingredients like rice powder. 7) Deep fry it on high flame for a few minutes i.e, until it turns a golden color. 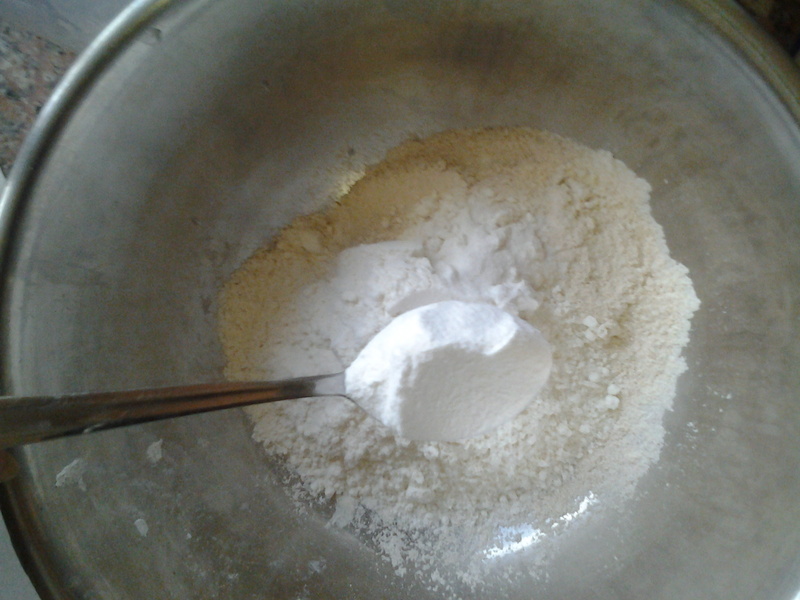 1) Rice powder and bicarbonate of soda are used to make the fritters crispy. 2) Some add a pinch of turmeric in the batter so that the final coating has a yellow tint. Frankly, I find that yellow color to be kinda sick. So I don’t add it. 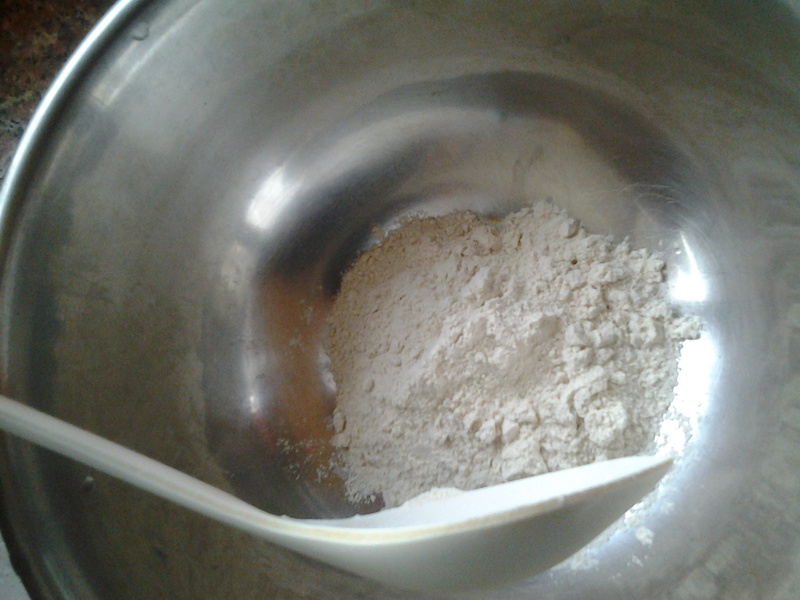 3) If you want to keep it healthy, instead of mixing all purpose flour and wheat flour, use only the latter. 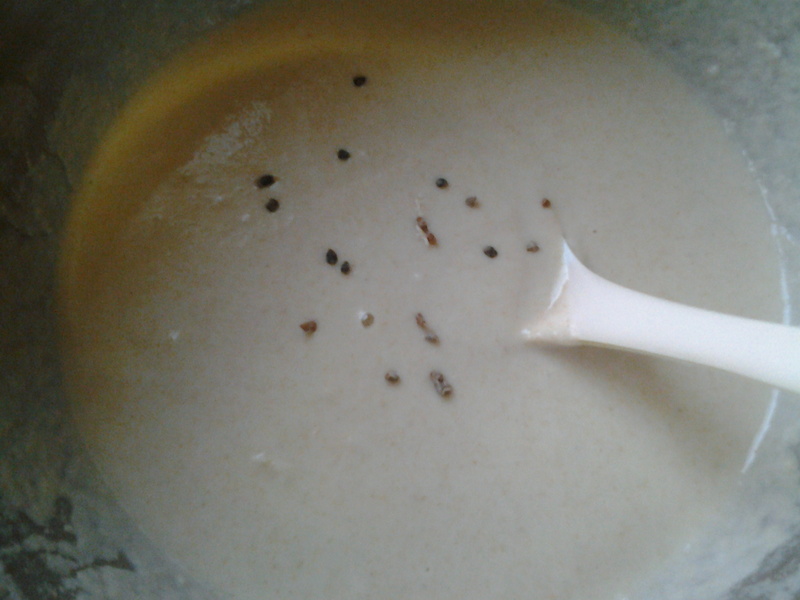 4) Adding the black seeds from 3 – 4 cardamoms enhances the flavor of the batter only very slightly. If you want to add more, you can. I don’t like the taste of cardamom to be overpowering, so I use only that much. The aroma of cardamom is nice. 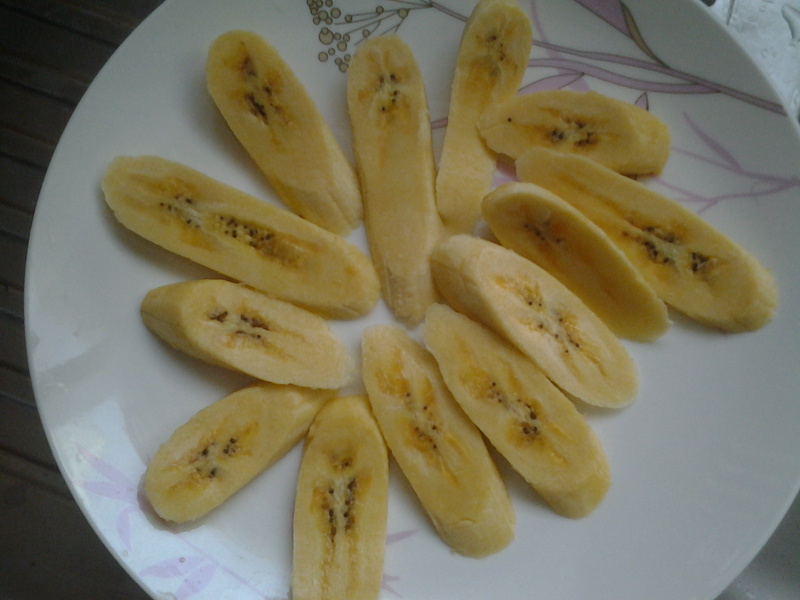 5) If you have leftover batter with banana dipped in it, store it in the fridge for a maximum of one day. Alright guys, if you try this or you would like to share your recipe or what you do differently, comment below, because I totally love feedback! ← Review : Dove Hair Fall Rescue Intensive Roots Treatment! I like your banana fritters version and I love love love banana fritters!!!! i can smell it from your post……!! Hehehe :)… That’s sweet to know… Thank you, Praseena! I hope you try it :).. Thank you for the comment!